Since entering the White House in 2009, President Obama has exponentially increased the number of drone strikes in Pakistan, Yemen, and Somalia — a policy that continues into his second term. The nature of these strikes, along with entire targeted killing program, has been shrouded in secrecy. The killings are covert operations, carried out by the CIA and JSOC, who largely run the targeted killing program — hence the secrecy. Administration officials have been very vague in answering questions about the program. Typical responses to tough questions about the program can be summed up as: “We can’t tell you but trust us, we’re serious”. This 16-page white paper, leaked to NBC News sheds additional important light on the administration’s internal legal rationale for carrying out operations that undermine the U.S. Constitution and international law. President Obama shared a 50-page legal memo with the Senate Intelligence Committee shortly before the hearing for his CIA nominee, John Brennan, who’s played a key role in overseeing the targeted killing program as Obama’s counterterrorism adviser. That document has not be shared publicly so what follows is an analysis of the white paper. However, the Obama administration’s white paper stretches the definition of “imminent” beyond recognition. It claims that “the threat posed by al-Qa’ida and its associated forces demands a broader concept of imminence”. The “condition that an operational leader present an ‘imminent’ threat of violent attack against the United States does not require the United States to have clear evidence that a specific attack on U.S. persons and interests will take place in the immediate future.” Therefore, the administration does not need actual intelligence of an ongoing plot against the United States to claim a target poses an “imminent threat”. The paper does not define “activities” and “associated forces”. In this context, the terms are very ambiguous and can be stretched by this administration and futures ones. “Associated forces” could simply be anyone the government proclaims, without any evidence, to be a “terrorist”. All that has to occur is for a “high-level official” in the U.S. government to think, with little evidence of a specific attack, that someone — an “operational leader” of al-Qaeda or “associated force” — is, or recently has been, involved in planning attacks against the United States and has not “renounced or abandoned such activities”, thereby, making that person an “imminent threat” to be killed without due process. It is important to keep in mind that the U.S. has a poor track record of capturing and killing people who are actually high-level terrorists. For example, most of the people detained at Guantanamo Bay are innocent. There is oftentimes flimsy intelligence on a target. Sometimes local informants will tell U.S. intelligence officials that a person they have a grudge against is a terrorist. Then a drone strike, acting on that intelligence, will kill that person. Many times, drone strikes fired against people who were opponents of allied regimes in Pakistan and Yemen (whom the governments claimed were “terrorists”) rather than imminent threats to U.S. national security. Finally, the white paper repeatedly states that “The United States is currently in a non-international armed conflict with al-Qa’ida and its associated forces.” Therefore, “Any U.S. operation would be part of this non-international armed conflict, even if it were to take place away from the zone of active hostilities.” That an operation targets a U.S. citizen “does not alter this conclusion”, it says. Like the Bush administration, Obama is justifying the targeted killing program on the premise — outlined in the 2001 Authorization for Use of Military Force (AUMF) passed by Congress shortly after 9/11 — that the United States is involved in a global war against al-Qaeda and other linked terrorist groups. This is the premise that upholds the United States’ post-9/11 system of permanent war. And it is under this premise that the U.S. is able to justify carrying out drone strikes in areas outside of declared war zones. “(i) The conflict is an international armed conflict. (ii) The conflict is a non-international armed conflict meeting the threshold of Common Article 3 to the Geneva Conventions. Basically, any fighting between the armed forces of two states or a military occupation of a specific territory is considered an international armed conflict. Fighting between a state and non-state group is not an international armed conflict. Minimal level of organization of the group such that armed forces are able to identify an adversary (GC Art. 3; AP II). Capability of the group to apply the Geneva Conventions (i.e., adequate command structure, and separation of military and political command) (GC Art. 3; AP II). Engagement of the group in collective, armed, anti-government action (GC Art. 3). For a conflict involving a State, the State uses its regular military forces against the group (GC Art. 3). Admission of the conflict against the group to the agenda of the UN Security Council or the General Assembly (GC Art. 3). ‘Beyond the level of intensity of internal disturbances and tensions, such as riots, isolated and sporadic acts of violence and other acts of a similar nature’ (AP II). Taken together, the report says, “these factors make it problematic for the US to show that — outside the context of the armed conflicts in Afghanistan or Iraq — it is in a transnational non-international armed conflict against ‘al Qaeda, the Taliban, and other associated forces'”. The report also says that al-Qaeda and other “associated” groups cannot be considered a “party” under the laws of war in a non-international armed conflict. Al-Qaeda and other “affiliates” are too “loosely linked, if at all”. Some “appear to be not even groups, but a few individuals who take ‘inspiration from al Qaeda”. While such groups and individuals may be criminals, “if their conduct violates US law, or the law of the State in which they are located”, they do not constitute a “party” in a non-international armed conflict. They are not an army, paramilitary, or insurrection group engaged in guerrilla warfare; they are a terrorist network that require a police rather than military response — the same way you deal with drug cartels or criminal gangs. This would also necessitate appropriate due process, such as a charge and fair trail. Therefore, for the U.S. to claim that it is engaged in a non-international armed conflict, or “war”, against al-Qaeda and “associated forces” undermines the basic principles of international humanitarian law and human rights. Since the U.S. cannot, legally, be at war with al-Qaeda and affiliated terrorist groups, the laws of war do not apply to the targeted killing program — international human rights law does. Within this framework, there are more restrictions. The right to life is a basic human right outlined in the International Covenant on Civil and Political Rights (which was signed and ratified by the U.S.). Nationality does not matter. Everyone has the right to live, regardless if they are a U.S. citizen. States cannot violate this right, except in extreme circumstances. The only situation targeted killing can be lawful, under human rights law, is if it’s carried out against an imminent threat to the lives of others. Otherwise, it is illegal. The Obama administration’s distortion of the term “imminent” leads to a violation of basic human rights. In essence, it amounts to murder. Moreover, the government’s targeted killing of U.S. citizens violates the Fifth and Fourteenth Amendments of the United States Constitution. They both say that no one shall be deprived of “life, liberty, or property, without due process of law”, which typically includes a fair trial. By arrogating the power to deprive anyone around the world, including U.S. citizens, of their basic right to live on this planet into the hands of the President of the United States and “high-level” officials in the Executive Branch, the government’s targeted killing program violates core civil liberties and human rights. Similar to how Bush’s lawyers, particularly John Yoo, wrote secret legal memos that twisted the law to justify the use of torture, Obama’s lawyers are doing the same thing to endorse another criminal and immoral practice. The white paper also comes on top of what is already known about the targeted killing program, thanks to leaks and investigative reports. Since 2004, the United States has launched 362 drone strikes in Pakistan with 310 carried out under Obama. There are two different strikes carried out by unmanned aerial vehicles (UAV). Personality strikes, in which the identity of the target is known. Then signature strikes, in which the identity of the target is unknown but their “pattern of life” is suspicious enough for the government to kill them by a drone strike or other means of assassination. Signature strikes are commonly used by the CIA in Pakistan and the U.S. is expanding such strikes in Yemen. Such strikes increase the likelihood of killing civilians. The CIA and military typically launch secondary strikes against rescuers and mourners, who are civilians, in what are known as “double taps”. Similar to how “imminent” has been redefined, the U.S. government considers any “military-aged male” in a strike zone to be a “militant”. Therefore, with very little knowledge of the individuals or their activities, the U.S. simply assumes that most of the people it kills by drones are “militants”. It’s like saying, “These people must be bad guys. Let’s kill them.” This allows the government to claim that civilian casualties by drone strikes are very low when, in reality, the figures are much higher. Drone strikes cause severe human suffering. The success rate of drone strikes is dismal. Of those killed by drone strikes, only 2 percent are high-level militants; the rest are low-level fighters and civilians. It is estimated that anywhere between 500 to 1,000 civilians, out of around 4,000 total, have been killed by drone strikes and other covert actions in Pakistan, Yemen, and Somalia. Given the difficulty of counting civilian deaths, it is possible the figure could be higher. 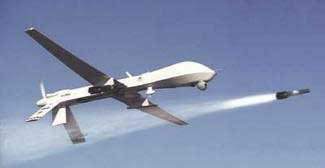 Drone strikes cause harm that “goes beyond death and physical injury…. Their presence terrorizes men, women, and children, giving rise to anxiety and psychological trauma among civilian communities” in Pakistan, according to a Stanford/NYU report. The anger at civilian harm caused by drone strikes has increased animosity toward the United States and strengthened militant groups, such as al-Qaeda in the Arabian Peninsula and the Taliban in Pakistan. Because of drone strikes, 74% of Pakistanis consider the U.S. an enemy. Moreover, drone strikes are very unpopular worldwide. People, angry at the death, suffering, and terror wrought by U.S. lethal operations, join such militant groups in order to get revenge against the United States. The irony is that this blowback creates new terrorists that the U.S. will have to kill under its rubric of “fighting terrorism”. It creates the very problem it seeks to eliminate and perpetuates of bloody cycle of war and violence. While drones are prominently used to carry out targeted killings (largely because the technology makes it easier), the United States, as investigative journalist Jeremy Scahill points out, also uses other methods to carry out these operations. Other methods used for covert targeted killings include AC-130 gunships, helicopters, airstrikes (such as in Somalia), Tomahawk cruise missiles, cluster bombs, local proxies (particularly in the Horn of Africa, who are often trained by private military contractors), and raids by special operations forces who operate around the globe. The main difference is that drones are un-piloted aircraft. Drones are a prominent, but not sole, method of U.S. targeted killing operations. The Obama administration has also institutionalized targeted killing into the U.S. national security apparatus — ensuring its endurance after he leaves office. Every week, Obama and other counterterrorism officials from different government agencies meet together to choose which person, whom they suspect of being a “terrorist”, they will kill, usually by drone. President Obama approves every strike in Yemen, Somalia, and a third of those in Pakistan. The Executive Branch also developed a “disposition matrix”, which is a database containing the identities of suspected terrorists around the world. According to the Washington Post, it goes “beyond existing kill lists” by establishing a blueprint for tracking, capturing, and killing suspected terrorists. This means the U.S. will keep adding names to its kill lists for years to come. By institutionalizing targeted killing into the U.S. national security apparatus, the Obama administration has further entrenched the system of permanent war. What gets lost in the discussion of drones and targeted killing is why this is happening. The U.S.’s expansion of targeted killing and drone warfare must be understood within the context of empire. The United States has largely drawn down its forces from Iraq (except for a large presence of mercenaries) and is drawing down from Afghanistan (but keeping drone bases and teams of special operations forces). Meanwhile, it maintains around 700 to 1,000 military bases around the globe. The U.S. has also established a global network of drone bases. There are drone bases in the Horn of Africa and Arabian Peninsula (such as Ethiopia and Camp Lemonnier in Djibouti), Saudi Arabia, to carry out targeted killings in Yemen and Somalia, and creating a new one near Mali for surveillance activities in the Sahel. As mentioned earlier, U.S. special operations forces operate in multiple countries carrying out covert actions, including targeted killings. In addition, the U.S. is creating multiple “lily pads”, which are small, secretive bases for troops, especially special operations forces. These allow the U.S. to militarily strike multiple hotspots around the world. States utilize military force, not only for defense, but to project power in the world. The growth of drone warfare and bases, along with the realignment of U.S. military forces, strategically serves to uphold U.S. global hegemony. To gain access to natural resources and penetrate markets in Asia and Africa for U.S. multinational corporations, the U.S. utilizes military force (along with supporting brutal regimes from Israel to Saudi Arabia to Rwanda) to protect those interests. However, threats to those interests come not only from transnational terrorist groups like al-Qaeda but also local insurgent groups and the rising power of China. Military force serves to counter those threats. However, the U.S. entered a problem during the Bush years. The Bush administration invaded and occupied two countries — Iraq and Afghanistan. Those wars are long and costly, in terms of lives lost, money spent, and political support. Over time, the public became tired of those wars; especially the war in Iraq, after people discovered that the reasons for invading were false to begin with. Plus, fighters in Iraq and Afghanistan have higher stamina than U.S. troops since they are fighting in their own country. The U.S. lacks that stamina. It is always difficult for an invader to outlast insurgents fighting in and for their country. The Soviets learned this the hard way in Afghanistan. As a result, it became difficult to sustain these occupations. Combat troops withdrew from Iraq at the end of 2011, while combat troops will also leave Afghanistan by 2014 (although special operations forces will remain). The ultimate lesson is that conventional wars of occupation are costly and, over time, the public loses its appetite for such adventures. Shadow war tactics, such as drone strikes, airstrikes, cruise missile attacks, training local proxies, private military contractors, and direct actions by special operations forces, offer a way for the U.S. to maintain its hegemony relatively cheaply. Such tactics, while still pricey, cost less than wars of occupation and result in fewer American deaths. However, people in places like Pakistan and Yemen, who are at the receiving end of U.S. militarism, still lose their lives. Plus, the operations can be carried out in secret — dampening public debate and outrage. In his book Wired for War, P.W. Singer quotes a Foster-Miller executive who said that robotic warfare provides an “asymmetric solution to an asymmetric problem”. Fighting irregular wars against insurgents and terrorists presents two problems: finding “the enemy” and killing them. Drone technology solves both of them. Drones can surveil a territory for long periods of time and they can launch missile strikes at “the enemy” — whoever that enemy may be. This makes drones a very attractive weapon. They can search for and kill whoever National Security State wants with less risk to U.S. military personnel and at a relatively cheap price. Moreover, drone manufacturers, such as Northrop Grumman and General Atomics Aviation Systems, make a lot of money from the sale and usage of drones. There are also drone lobbies and caucuses in Congress goading politicians with lavish financial contributions to support the drone industry. This is why drone warfare is growing. Targeted killing, drone strikes, airstrikes, AC-130 gunship and helicopter attacks, cruise missiles, cluster bombs, private military contractors, local proxies, and special operations forces are part of the new post-9/11, Obama-era landscape of U.S. militarism. Bush initially established the notion of the “War on Terror”. The idea that the United States is at war with al-Qaeda and affiliated terrorists, making the entire world a battlefield. His wars in Iraq and Afghanistan were an implementation of that notion. Obama, as evidenced in this white paper, fully endorses this notion but implements it differently. Less torture and conventional wars of occupation. More targeted killings by drones, airstrikes, support for local proxies, and raids by special operations forces to take out any alleged terrorist threat. Basic human rights, the laws of war, due process, the Constitution, and international law are trampled on by this new bulldozer of American militarism. Like many presidents before him, Obama has lovingly embraced and expanded the U.S. system of permanent war to protect its hegemony.